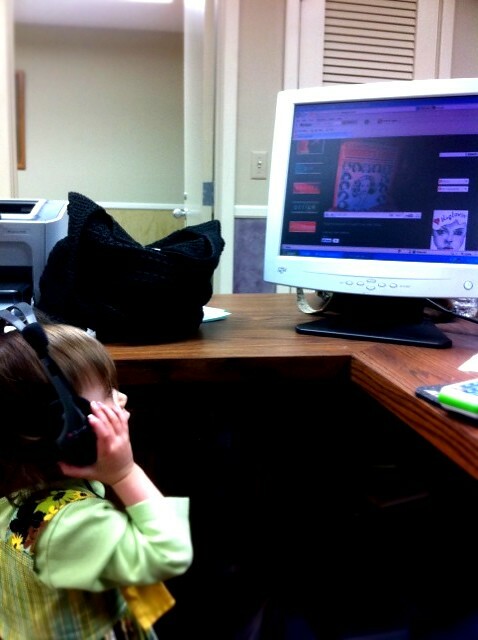 Here’s my niece watching the video I just posted last night to my blog. Isn’t she adorable!!! She’s back in KY, I miss her and all my nieces and nephews so much! Thanks Mom for sending me this! I’ve been reading your blog for a while and never realized you were from Kentucky! I grew up there too, then moved to NYC and it kills me to leave my niece and nephew after a visit. Thank goodness for moms who send us pictures!